Somewhere beyond the three minute pop-song, where the steady beat and catchy melody devolve into a world of purely textural sounds, this is where the soundworld of Chord begins. 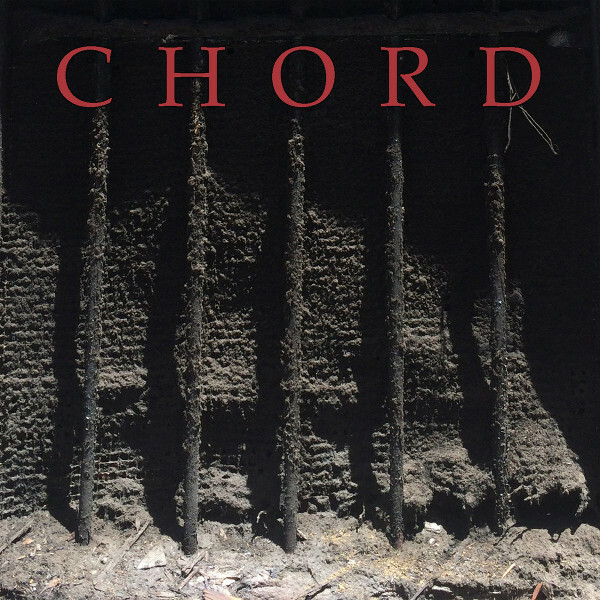 The four pieces on Chord are slow moving ambient slabs of free-metal, not to be confused with any kind of chugga-chugga heavy metal one might already be familiar with, these are completely free of all the constraining trappings of rock music, set free in space to evolve slowly and freely, with shimmering nuances to be reckoned with, and microtones hovering within a chaotic expanse. The creation of two inventive guitarists whom you may have heard of, Nick Didkovsky (Doctor Nerve, Fred Frith Quartet, Vomit Fist, various other solo and collaborative endeavors) and Tom Marsan (Delta Garage, Superjail), they both approach this with an open minded improvisational spirit, electric guitars, amp distorton, feedback, tone shaping, and a brutal cascade of sonic artifacts that immerse the listener is a beautiful sea of noisy guitar textures dripping down the walls. One might suspect that what I’m describing is something jagged and painful, but not so – in fact this is very soothing and ambient, within the textures are many interesting elements that the listener can choose to focus on, or ignore if you like, but nothing within this world of guitar feedback and distortion will make you run for the Excedrin. It all starts out with “loc 10,” the two guitarists pounding out rhythm and distortion on a single chord, eventually all gurgling under a muddy pool of sludge, but still offering artifacts of interest to the astute listener, all as it grows and evolves. “Extinction Event” is certainly the longest cut at close to fourteen minutes, beginning with three notes and a lot of distortion, the notes eventually fusing into a single chord with the feedback and distorton eventually taking over everything, turning into a purely textural sound that grows and groans and evolves into through several dense walls of guitar-driven noise. “Not Home” begins with a vaguely rhythmic industrial klang, crashing and wailing through waves of cosmic feedback, fading to black after a mere four minutes. “Penultimate” is a longform curiosity, beginning gently but growing and pushing forward throughout its nine-minute duration, picking up amplitude, aggression and density as it moves forward, spinning out interesting nuances all along the way. Ultimately this is probably more ambient than metal, you can choose the labels for yourself, but it does provide an interesting mind massage that engulfs the listener for 32 minutes. Play twice for the full effect.